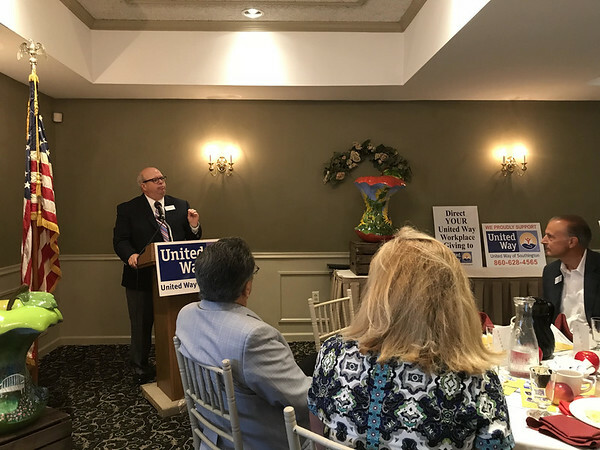 SOUTHINGTON - United Way of Southington kicked off its annual campaign Wednesday morning at Manor Inn, highlighting its efforts to assist local nonprofits, including providing rides for local seniors. 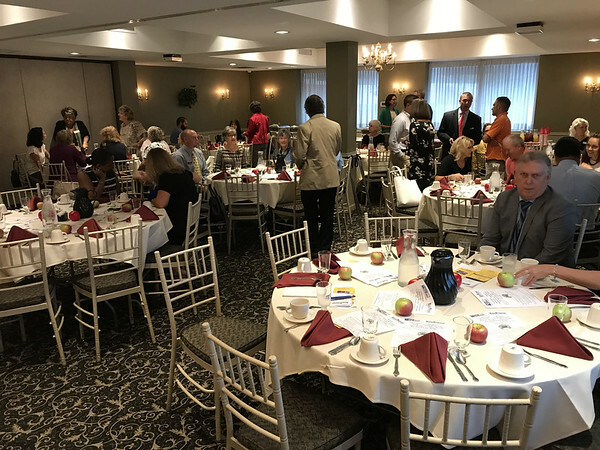 The breakfast event was attended by many supporters and movers and shakers in town, including Superintendent of Schools Tim Connellan; Town Councilor Dawn Miceli; and John Myers, executive director of the local YMCA. Each table was decorated with apples in recognition of the Apple Harvest Festival later this month. 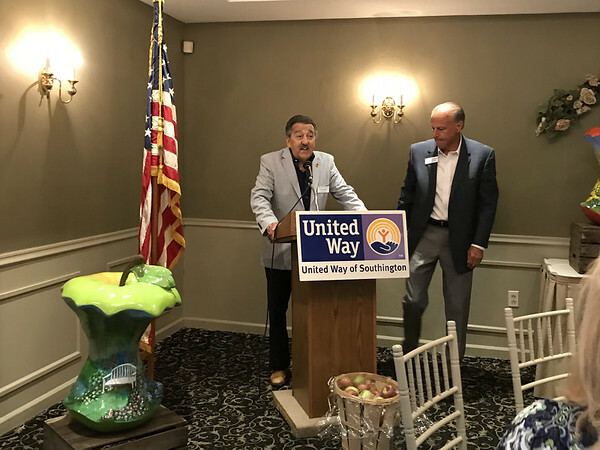 Art Secondo, vice president of United Way of Southington, welcomed the guests and praised the “generous people of Southington” who have supported volunteer organizations like United Way, The Lions Club and Kiwanis Club over the years. United Way of Southington, he said, has been serving the local community since 1926. Secondo then introduced United Way’s executive director, Jack Eisenmann. Secondo then introduced Curtis Robinson, who shared the inspirational story of how he came to Connecticut at age 16 from Alabama and spent his first night sleeping in Bushnell Park. The next day he got a job washing dishes, and 15 years later he owned several hotels, something he noted could “only happen in America.” Later in life, after being diagnosed with pancreatic cancer and surviving, he donated $1 million to support pancreatic cancer treatment at St. Francis Hospital. Rob Flood, president of United Way of Southington, then explained how United Way of Southington got started. 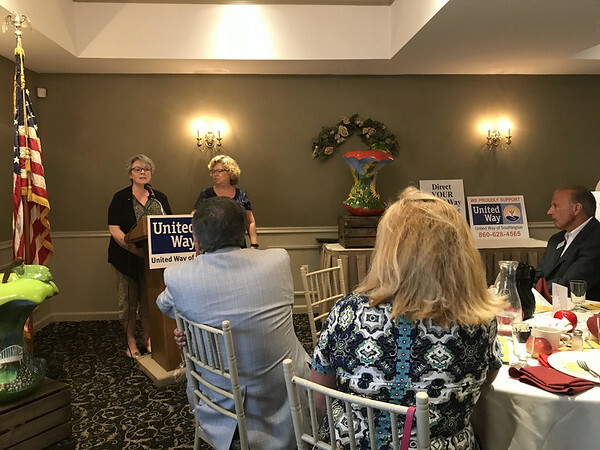 Flood encouraged those who attended the campaign kickoff to contribute at least $2 from each paycheck to United Way of Southington. 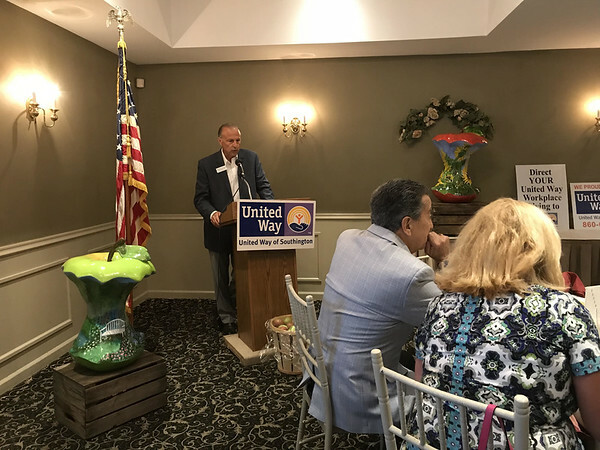 He then introduced Nancy Morrissey, executive director of Senior Transportation Services, and explained how their program has benefited from United Way’s support. Morrissey said Senior Transportation Services serves Southington, Berlin, New Britain, Meriden and Wallingford. In other communities, they only provide transportation for medical appointments, but due to the support they have received in Southington they can provide more. With the growing demand for rides, she said, the non-profit is now in need of drivers to volunteer to provide at least two rides a month. Morrissey said one of her drivers has provided 94 rides since March. “There is nothing like the feeling of knowing that you are helping out the community,” she said. In addition to Senior Transportation Services, United Way of Southington supports Big Brothers/Big Sisters, Bread for Life, Catholic Charities, Child Guidance Clinic, Community Mental Health Affiliates, Connecticut Legal Services, Literacy Volunteers of Central CT, the Margaret Griffin Child Development Center, Mulberry Gardens’ Adult Daycare Program, the Prudence Crandall Center, The Salvation Army, Hartford HealthCare at Home, YMCA of Southington and YWCA’s Sexual Assault Crisis Service. For more information on United Way of Southington, call 860-628-4565 or visit unitedwayofsouthington.org. Posted in The Bristol Press, Southington Herald on Wednesday, 12 September 2018 19:25. Updated: Wednesday, 12 September 2018 19:28.